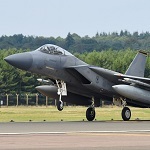 A senior defense official said the Department of Defense’s decision to procure a new variant of Boeing-built F-15 fighter aircraft hopes to demonstrate DoD’s desire to keep two U.S.-based jet manufacturers in business in the next 10 years, Defense One reported Friday. “One of the considerations was the diversity of the industrial base,” the senior official said. 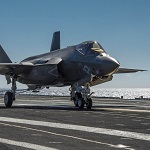 The U.S. Navy’s Strike Fighter Squadron 147 has achieved certification to operate the F-35C Lightning II aircraft following the completion of qualification tests aboard the USS Carl Vinson (CVN-70) Nimitz-class aircraft carrier. The safe-for-flight operations certification that VFA 147 “Argonauts” received Wednesday comes as the Navy expects to achieve initial operating capability status for the F-35C program by the end of February, the service said Wednesday. Tanya Skeen, head of the U.S. Army’s rapid capabilities office, will join the F-35 joint program office in early 2019 as executive director, Defense News reported Tuesday. 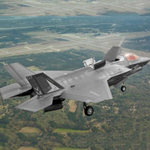 Skeen will succeed Todd Mellon and work with Navy Vice Adm. Mat Winter, F-35 program executive officer, and Air Force Maj. Gen. Eric Fick, deputy PEO, on the fighter jet procurement effort. 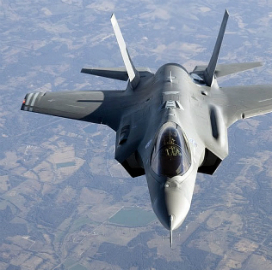 The U.S. Marine Corps could see its F-35B fighter jets take off for an initial combat mission in the next few days after an amphibious assault ship started its voyage toward the Persian Gulf, CNN reported Wednesday. Defense officials told the publication that the Lockheed Martin-built F-35B aircraft aboard the USS Essex ship could be deployed soon to support airstrikes in Afghanistan. The Defense Department has ordered to delay by two months the initial operational test and evaluation of the Lockheed Martin-built F-35 fighter aircraft as DoD waits for the deployment of the new software version, Defense News reported Wednesday.